If you’re prioritizing the sales of your products at assorted events like trade shows and expos, having personalized point of purchase displays provides effective means of doing so. 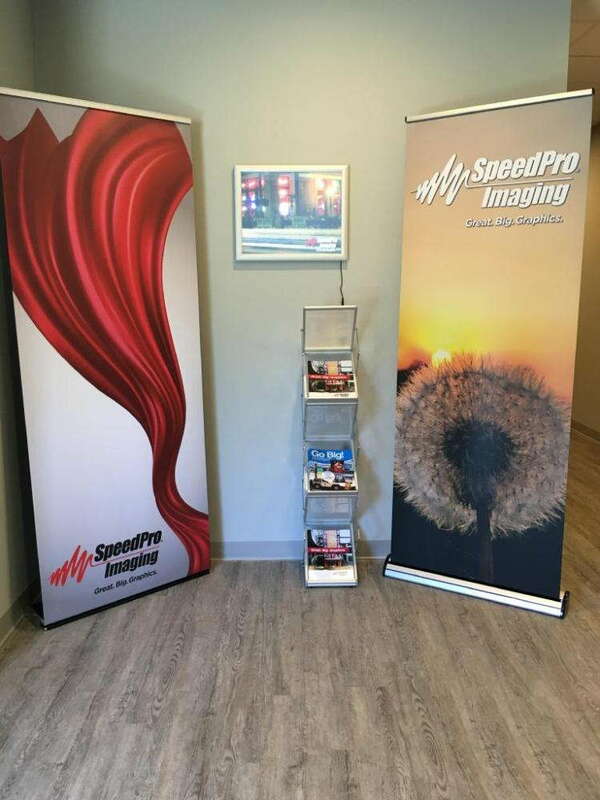 SpeedPro Imaging Innovations is prepared to maximize your investment with our top-tier products, which are crafted using state-of-the-art technology and industry-leading materials. We’ve worked countless times with businesses in Reading and other communities in southeastern Pennsylvania, so we’re attuned to what works best in an assortment of industries. We’re confident that you won’t be able to find another studio offering the same degree of quality, speed and cost-efficiency that SpeedPro provides. After all, we even deliver a specific catalog that details multiple kinds of personalized P.O.P. displays and other event accessories. While our handbook is extensive, we’ll show you all our products and services to ensure that we cover all the bases for your project. That said, tools and materials are nothing without the proper hands and know-how to craft them into impactful, professional graphics. We’re committed to using our experience in the large format graphics industry to help you from start to finish, and we won’t stop working until you receive results that you can be proud of! Once you have your vibrant, custom P.O.P. displays, you’ll see potential customers and clients show increased interest in your business. You can choose from a variety of hop ups and retractable banner stands to serve a wide range of purposes. With our durable materials and long-life inks, they’ll hold up to any task. 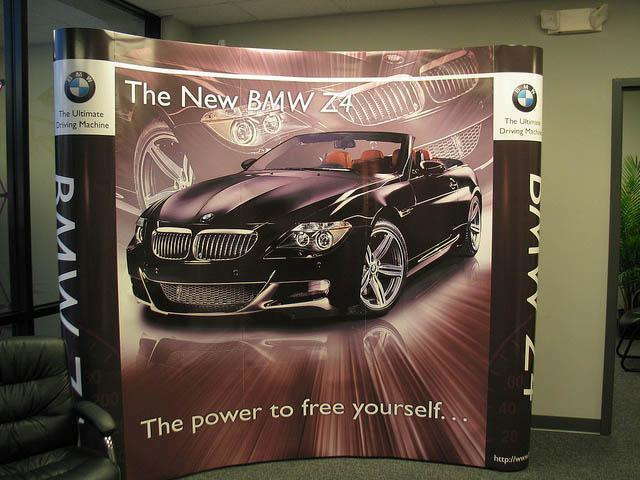 Hop ups are lightweight display kits that display large fabric graphics, which can be used as trade show backdrops, tabletop displays and more. They don’t require tools, and they’re easy to convert, making them ultra-portable. With our wide range of lighting options that you can use to illuminate these displays, your branding elements will stand out in a unique way. Retractable stands come in retractable, telescopic and spring-back styles. We also offer three models: economy, standard and premium. With varying degrees of metal gauge and internal mechanism strength, they ensure you have access to single-use displays and heavy-duty travel companions. We also offer a range of products to get potential customers involved with a hands-on approach. Options you can choose from include monitor and tablet stands, attachable shelving and kiosks, all of which showcase your products and services in an organized, professional way. 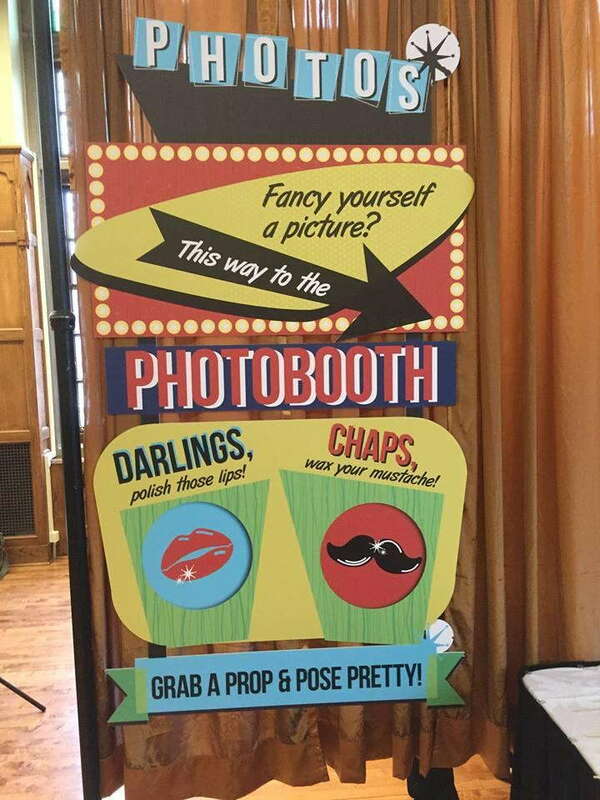 Taking into account the different parameters of the venue you’re operating in, other useful graphics include window clings and easel back stand ups. No matter what you choose, our color-matching practices will keep all of your new products in line with each other, creating a cohesively branded appearance. With our personalized POP displays, you’ll receive an excellent marketing method that creates memorable impressions and provides vital functionality. Contact us today to schedule your consultation! You can also visit our studio, which is located on Wingco Lane near the intersection of routes 61 and 222 in Reading.